SAN DIEGO, Calif., Mar 19, 2018 (SEND2PRESS NEWSWIRE) — Bank of Southern California, N.A. ( OTC Pink: BCAL / OTCMKTS:BCAL ), a community business bank headquartered in San Diego, Calif., announces the addition of two tenured Business Development Officers to support the company’s continued expansion into the Southern California region. Mr. Mulder has joined Bank of Southern California as Vice President, Business Development Officer and will be responsible for providing SBA and commercial lending to small- and medium-sized businesses in the Inland Empire and Riverside County. Throughout his career he has demonstrated a strong commitment and proven success in partnering with businesses to help them achieve their financial goals. He previously served as Vice President, Business Development for a Southern California regional bank, and prior held a similar position with the CDC, Small Business Finance, Riverside for over 20 years. Mulder holds a bachelor’s degree from Dordt College in Iowa and serves on the Endowment Committee of Redlands Christian School. Mr. Szeto joined the Bank as Vice President, Business Development Officer and will focus on providing small- to medium-sized businesses with financing through SBA and commercial real estate loan programs. With more than 15 years of commercial lending experience, he has a proven track record of helping small businesses facilitate the acquisition, development, and refinance of commercial real estate properties throughout Los Angeles and Orange County. Prior to joining the Bank, he held a similar role at Union Bank. Mr. Szeto holds a bachelor’s degree from University of Southern California. 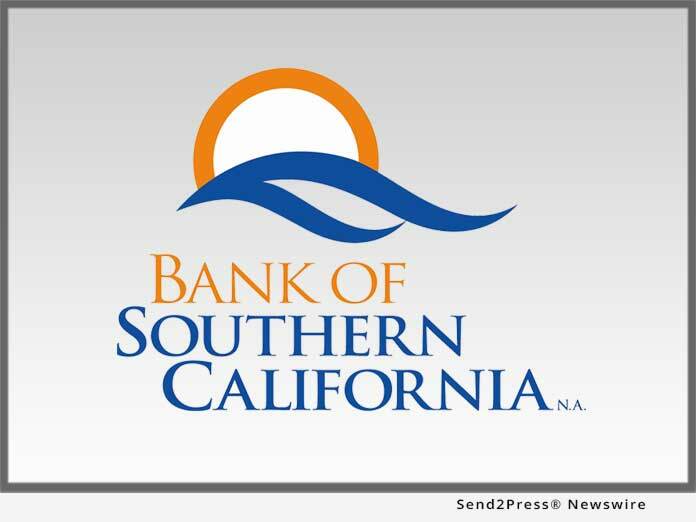 “As Bank of Southern California continues to expand its market position in Southern California, this is a natural time to grow and strengthen our client acquisition team. The addition of these experienced business development professionals demonstrates the Bank’s commitment to helping Southern California businesses grow and succeed,” said Tony DiVita, Executive Vice President. “Philip and Billy are strong additions to the Commercial Real Estate and SBA Group. They will play an integral role in the execution of the Bank’s strategic growth as the company enhances its presence in the Southern California market,” concluded DiVita. A growing community bank, established in 2001, Bank of Southern California, N.A., with headquarters in San Diego, Calif., is locally owned and managed, and offers a range of financial products to individuals, professionals, and small-to-medium sized businesses. The Bank’s solution-driven, relationship-based approach to banking provides accessibility to decision makers and enhances value through strong partnerships with its clients.